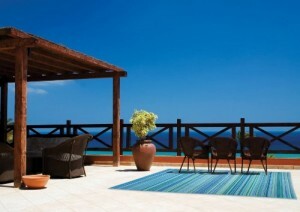 Beach House Interiors have become more and more popular over the last few years. 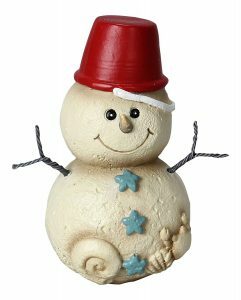 It’s a great way of decorating and showing your love of everything coastal and beach, whilst bringing lot of natural design materials into your home. 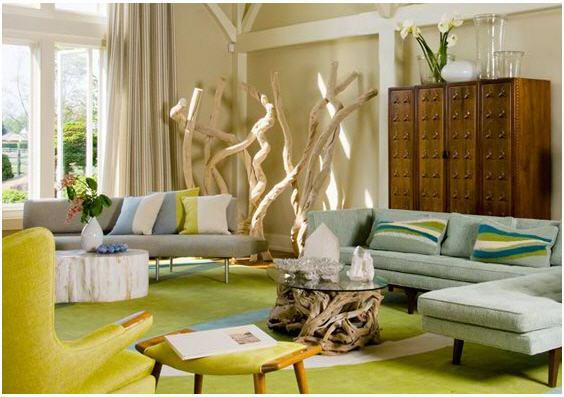 This Beach House Interior Design by Amy Lau is stunning in its simplicity and color choice – sea greens and blues, the natural driftwood coffee table and the driftwood art in the corner of the room, together with the muted sandy colored walls and curtains all work really well together. 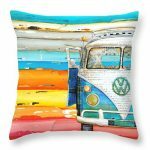 Trow in some lounge cushions with the right colors and patterns to complement the rest of the room and you have a state of the art beach house interior! 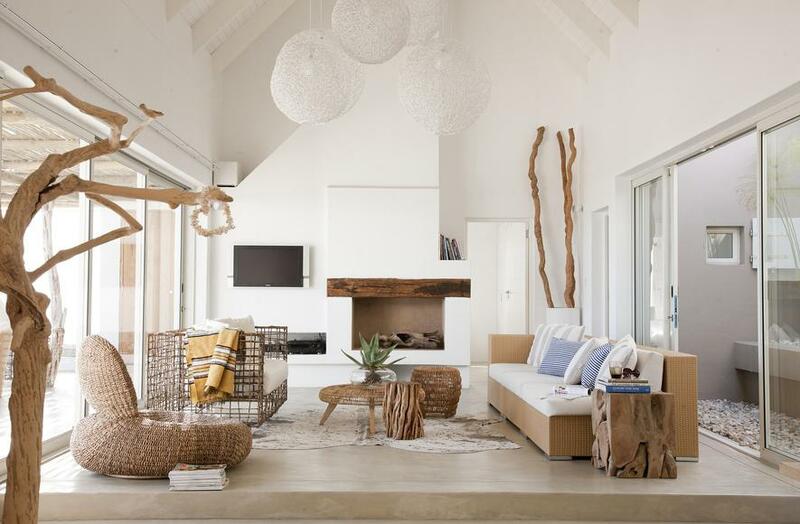 Here is another beach house interior in a similar style – the coastal and beach feel is achieved by adding lots of natural materials and the colors blue, white and sand (you can click on the image to see it in full size). Seen here. The decorator used – again – colors that suit the theme (blue, turquoise, off-white, greenish) to create the right ambiente. 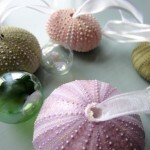 The use of glass fishing floats as decor is very clever, they always bring a coastal feel into a home. The carpet/rug fits right in with the beach theme. 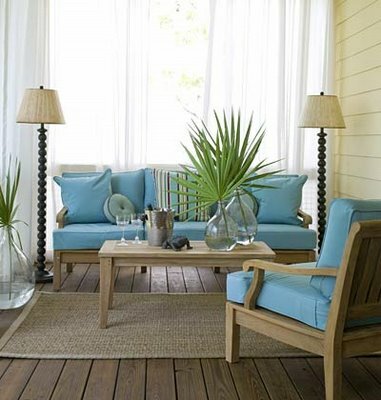 I love the bold display of a palm leaf in a big clear vase in the room displayed below, and the sky blue cushions on the wooden benches with the throw cushions in between. Please note the natural fiber rug on the floor.